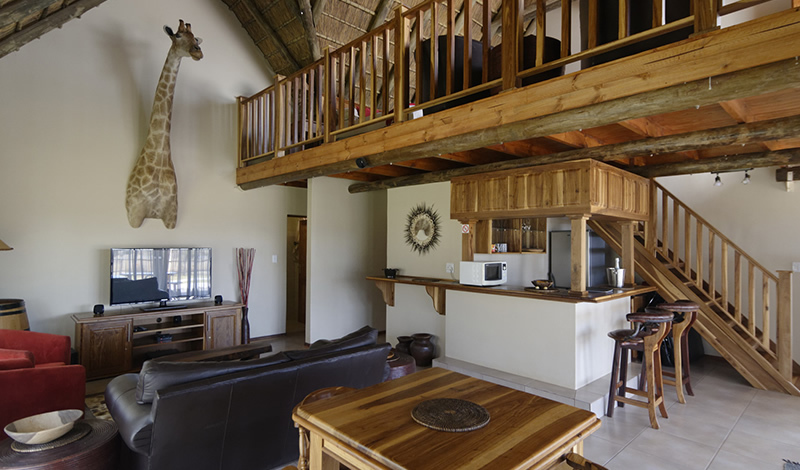 One luxury Log Cabin is available which can accommodate 4 adults. 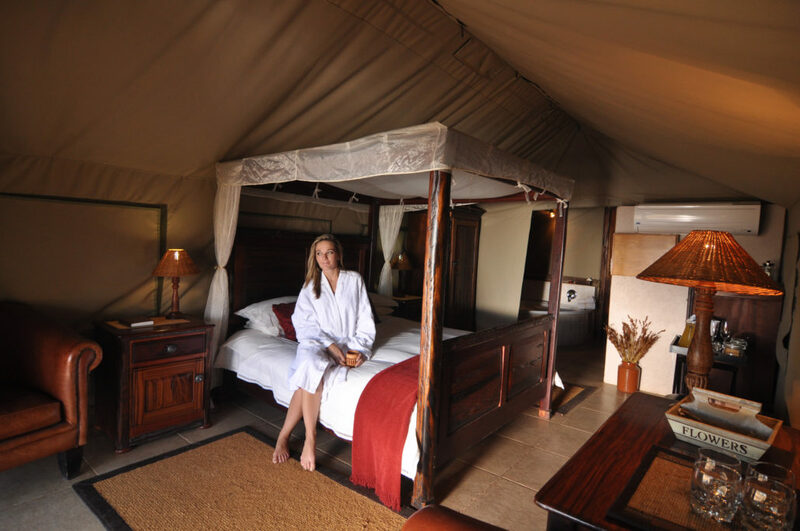 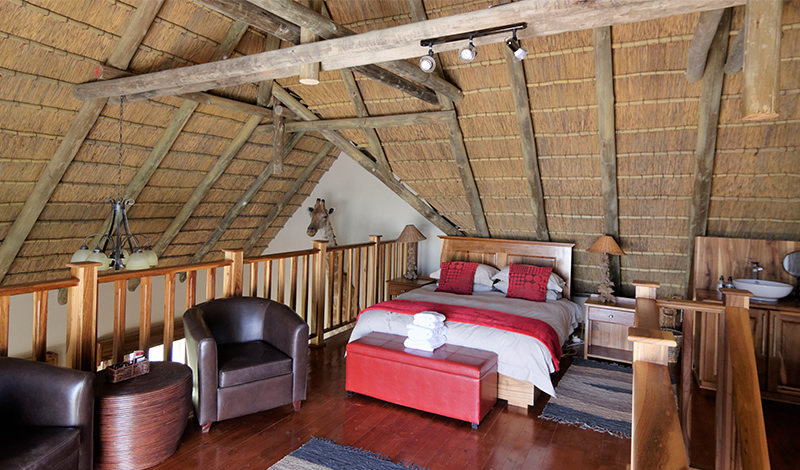 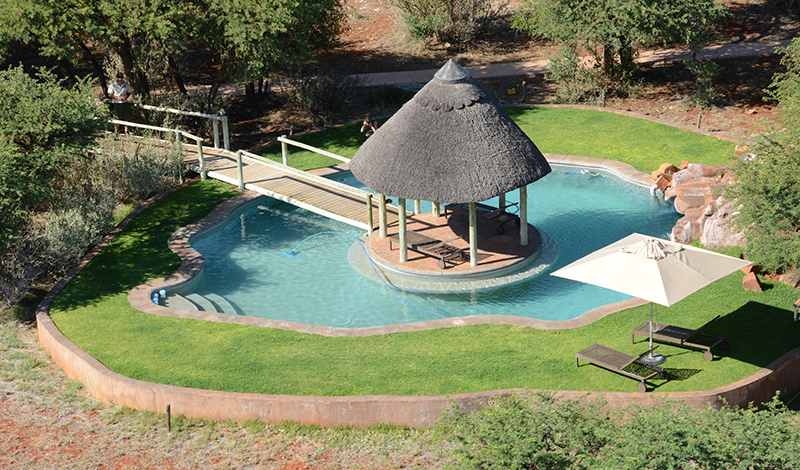 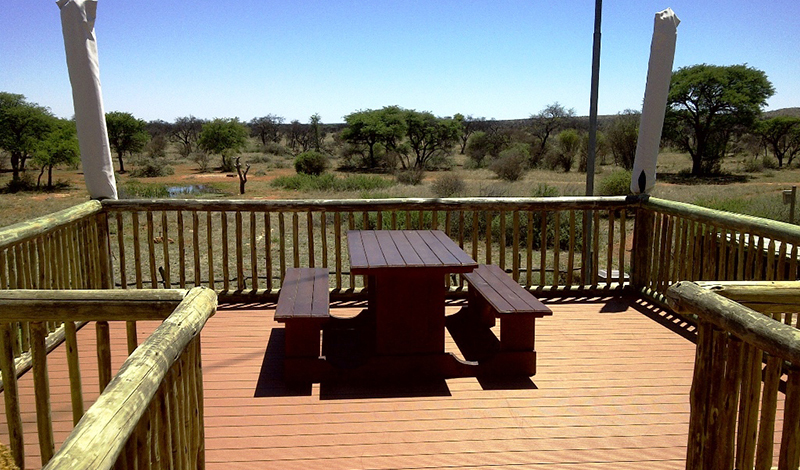 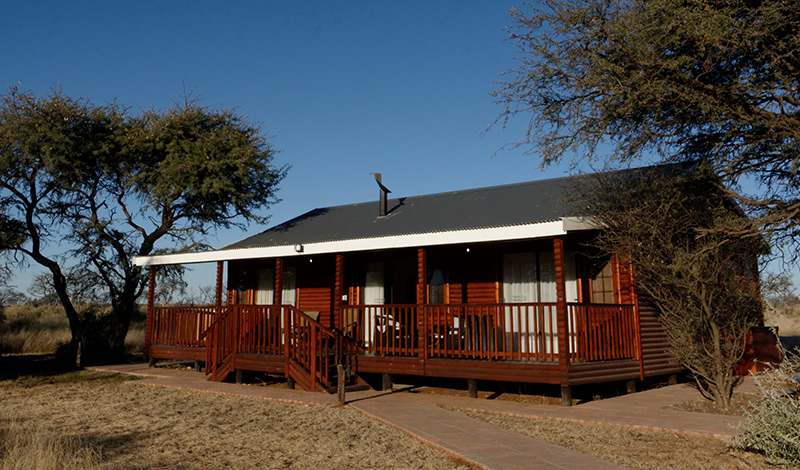 Both rooms are identical, en-suite with corner bath and shower, and opens up onto a wooden veranda with a view of the waterhole. 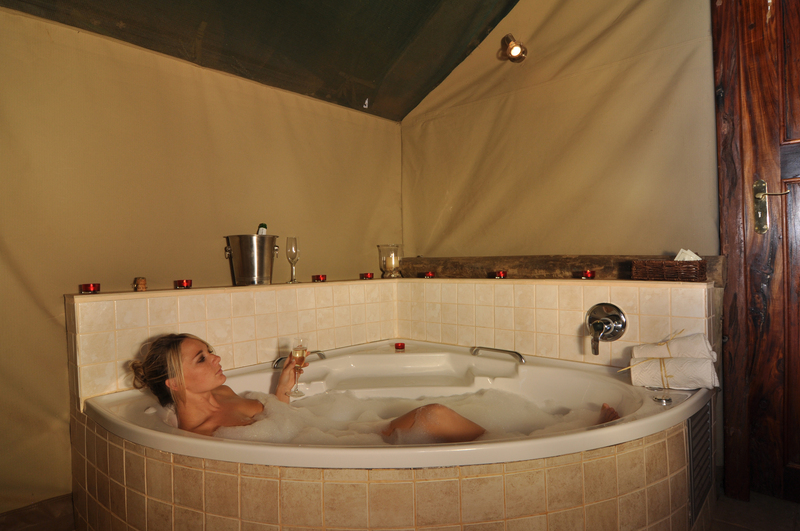 A 6-seater Jacuzzi is also available on the veranda for your private use. 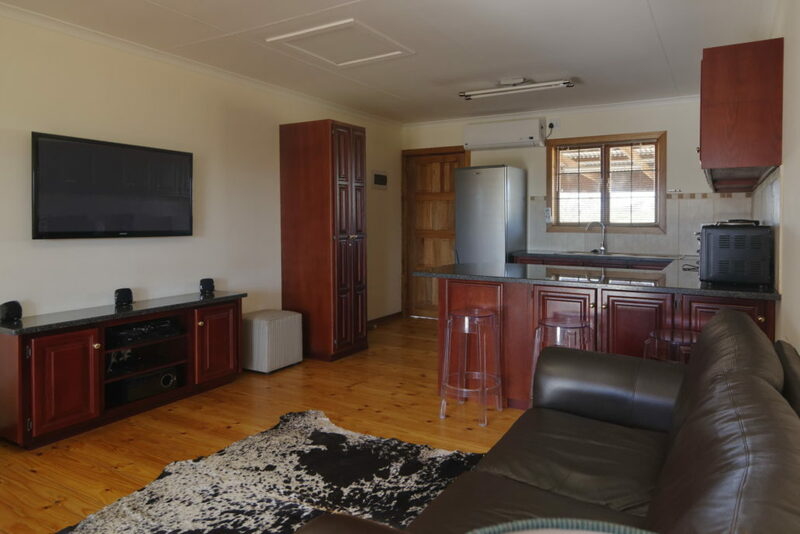 The Cabin is very private and offers a fire place lounge with plasma screen, own braai area, covered veranda, fully equipped kitchen and undercover parking. 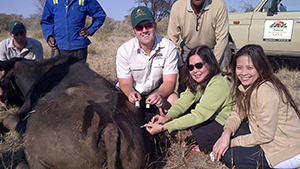 This includes an afternoon game drive followed by dinner and a morning game drive followed by breakfast. 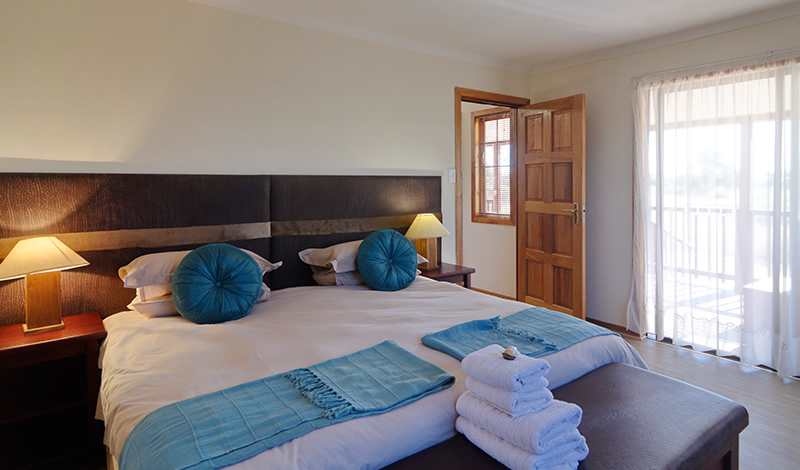 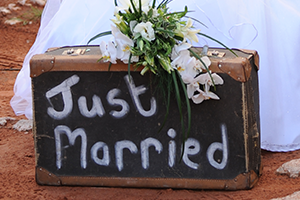 You will also receive a welcoming drink, coldrinks, champagne and chocolate in the rooms. 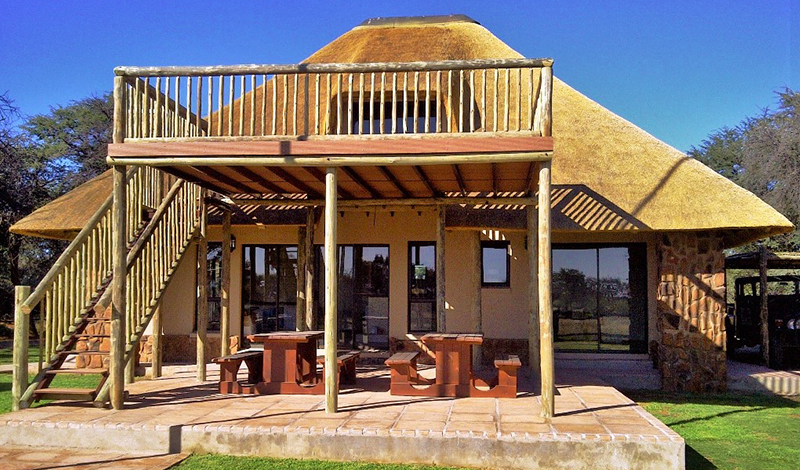 The Cabin is very private and offers a fire place lounge with plasma screen, own braai area, covered veranda, fully equipped kitchen and undercover parking. 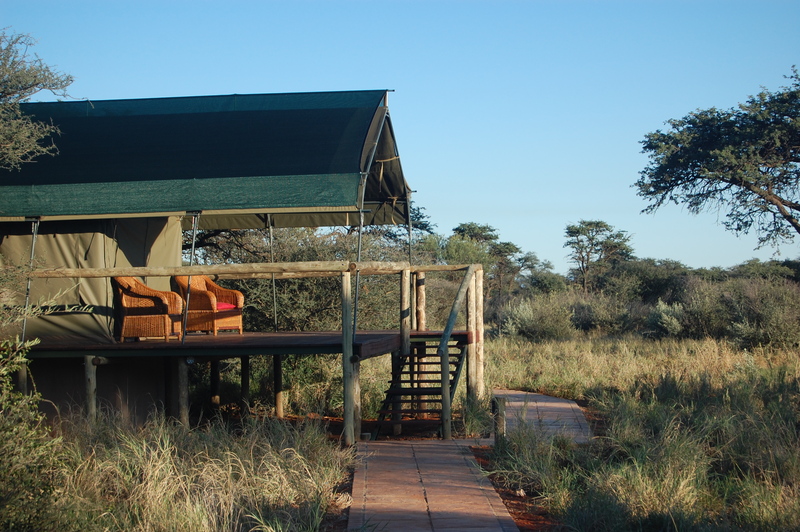 Morning or afternoon Game drives (R200pp), Dinner (R200pp) and Breakfast (R100pp) can be arranged additionally and in advance.